If I had to describe my style, I'd say it's somewhere between sixties groupie and your 5 year old brother. I go one way or the other, my looks either very feminine or zero effort required Tomboy. 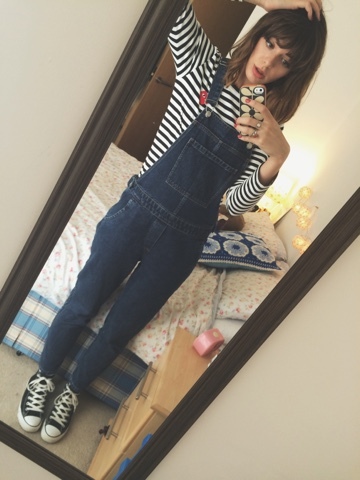 The majority of the time I opt for Tomboy (because I can be a tad lazy) and my standard uniform... Dungarees! I live in them! 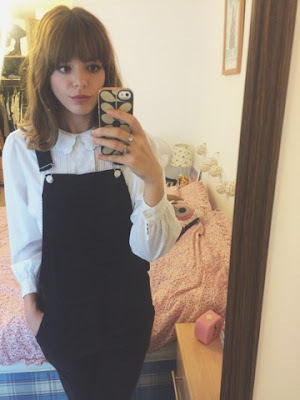 I'm a scruffy little thing really and dungarees are THE easiest, most comfy things you will ever sport in your life. Fact. A normal every day outfit for me looks a little something like the below. Ok, so it's not the sexiest outfit you're ever going to wear and you do look like you're about to shout "TAG! YOU'RE IT!" and run off giggling at any second but on those lazy days when you just don't care and you're feeling a little crappy, believe me these denim babies will be a god send! My style inspiration when it comes to dressing like a total boy is a mix of these three; Francoise Hardy, George Harrison and yup, Chungy. 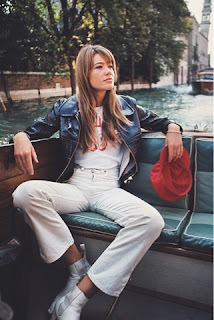 Francoise because she has this amazing talent of looking like she couldn't care less about what she's wearing, at the same time as looking like THE definition of chic and the coolest girl you ever clapped eyes on. 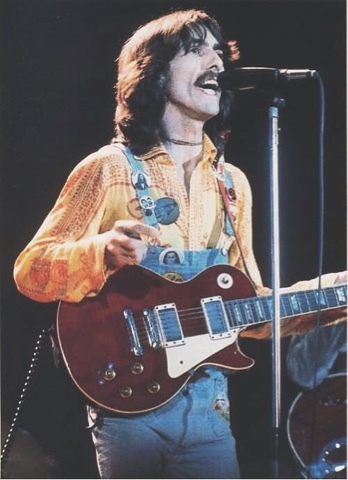 George because there wasn't a denim look he couldn't pull off. Seriously, double denim was a walking in the park to him and dungarees, a total breeze! (Disclaimer: Apart from George, men and dungarees is just wrong if not a little creepy... Sorry but that's just one girls opinion). And Alexa, because well, she's Alexa. 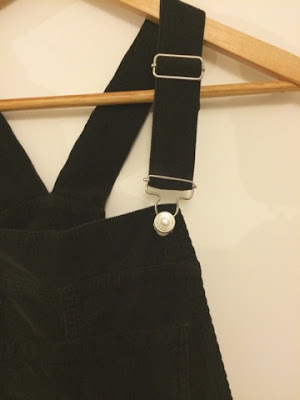 I'd also just like to add that if anyone's struggling with my Christmas present this year the below AC for AG Jeans black dungarees would go down a storm with me. Thanks. One of my favourite recent purchases are these black cord dungarees from Topshop.